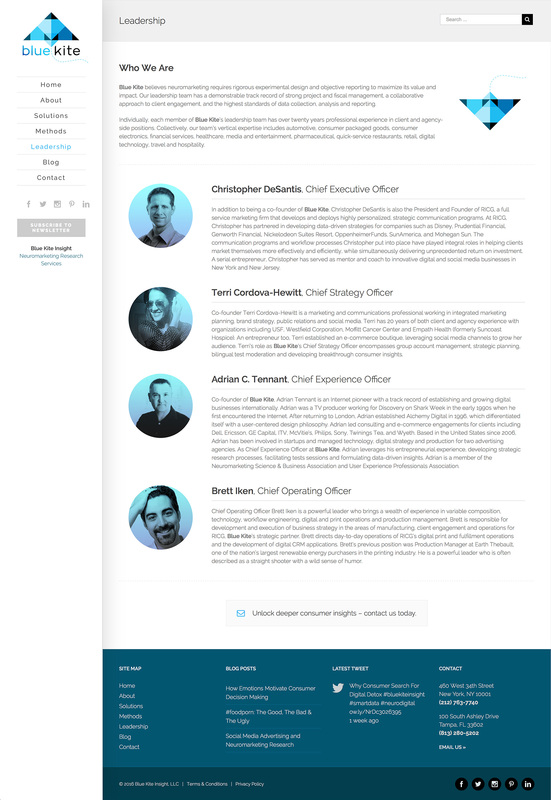 Blue Kite Insight is a US based business which uses scientifically validated methodologies to identify the emotional, nonconscious drivers of consumer behavior and preference. Blue Kite’s neuromarketing research combines behavioral, biometric and verbal responses for insightful analysis which can be used to optimize advertising creative, product design, digital communications and user experience. 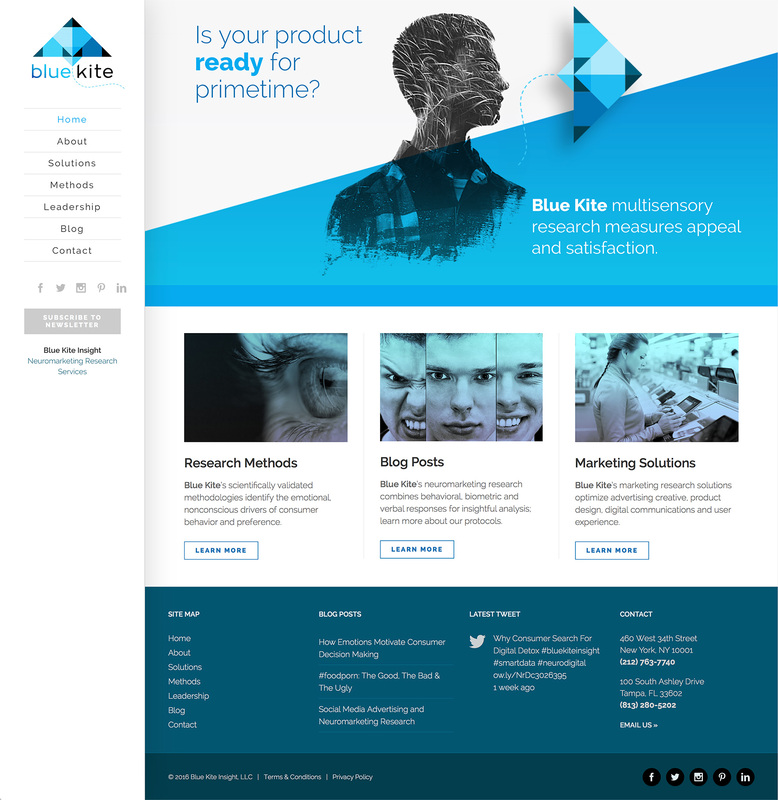 Having designed the Blue Kite logo and identity, Two by Zero were then engaged to design and build their business website. Given the somewhat scientific nature of the content, much thought was given by the client and Two by Zero as to how best to describe, structure and communicate their neuromarketing services. Applying the tools and techniques offered by the company to it’s own brand, a high quality result was achieved. 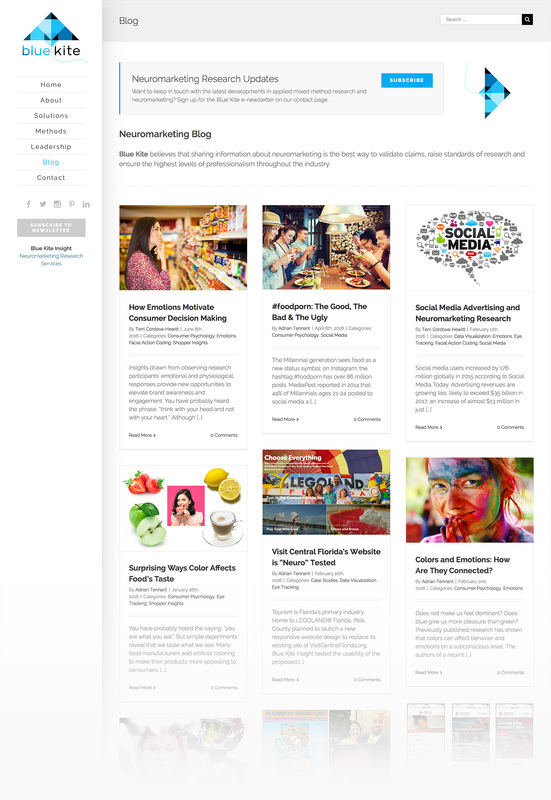 A key site feature is the blog, which will establish BlueKite as a leader in the neuromarketing sector. The forms on the site integrate with Mailchimp as a means of managing newsletter subscriptions, and the site is under SSL for added security and SEO optimisation.